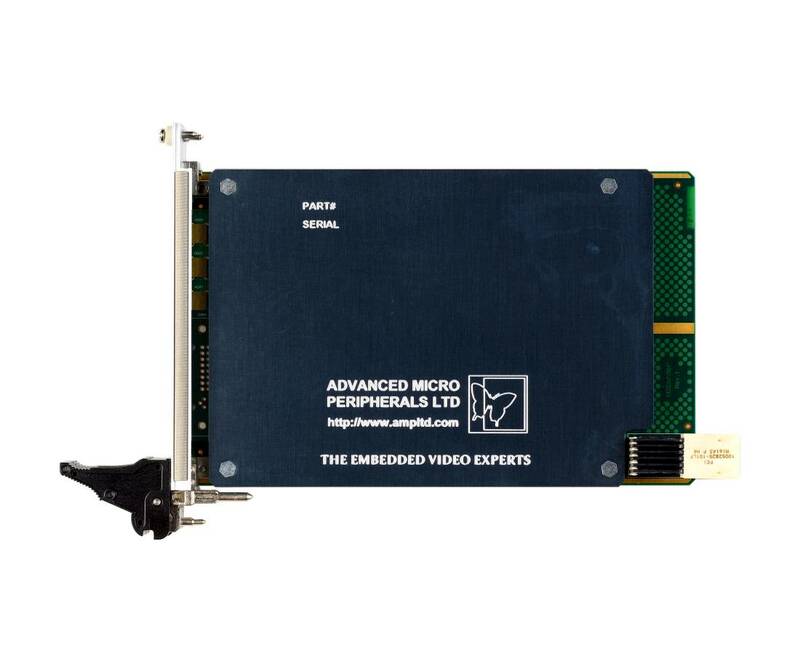 The HDCoder-RGB/STANAG is an intelligent high definition video recording solution that accepts analog RGB HD input at up to 1080p60 and encodes it to the H.264 video encoding standard. The CompactPCI Serial board solution is ideal for demanding applications in Transportation, Military, Communications, mining and Energy industries. The HDCoder-RGB/STANAG can capture video from a wide range of analog RGB video sources. VGA, RGSB (Sync-on-green) and Stanag3350 sources can all be captured, encoded and then transferred to the host system over the CompactPCI serial bus. The HDCorder-RGB/STANAG also features optional on-board redundant storage to compliment the host system storage and improve data integrity. This on-board cache acts as a rolling buffer, storing the most recently recorded data. This storage redundancy ensures no mission data is lost even when starved of host CPU attention in heavily loaded system configurations. The HDCorder-RGB/STANAG is a standard 3U CompactPCI Serial module and supported for Linux and Windows.